Sheet metal production lines nowadays are more and more automated, with increasing number of processing modules. Knowing how to balance a production system has become a strategic skill for the production manager in order to optimize the line and increase the productivity. Production systems consist of a series of machines, each one performing one part of the process. In sheet metal processing lines, for example, a system can include uncoiling, punching, laser cutting, forming, roll forming, welding and packaging. To calculate the productivity and efficiency of a given production system, it is essential to understand the performance of each machine/module of the line, and how these modules are connected. 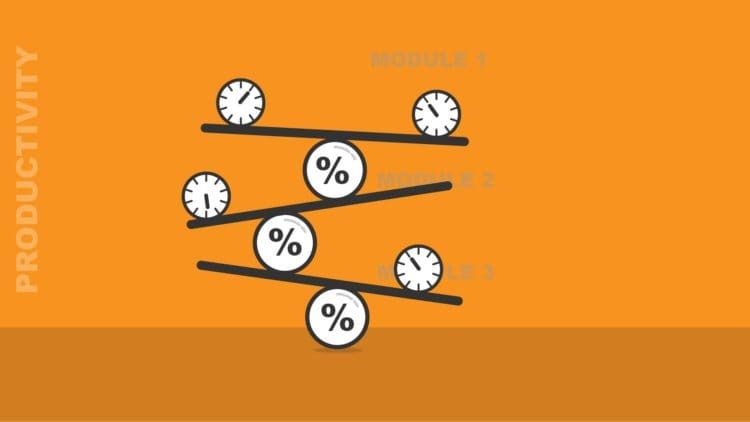 This guide illustrates a simple methodology to calculate productivity, availability and efficiency of complex production systems, given the main parameters of each module. From now on I will define a line as a series of processing modules, each one characterized by the parameter “cycle time” or productivity P: expressed in seconds per part, is the amount of time the module is engaged to complete its process, including loading, processing and unloading time. Each module is defined by the previous two parameters, and between each module we can have a buffer (parallel processing) or not (serial processing). The previous parameter will be used to estimate, together with other considerations, the line efficiency E. Expressed as a percentage, this is the expected productivity over an extended period of time, including the preventive maintenance and setup time. For example, a line with 85% efficiency means that it will be active in production 85% of the time. When we know the Productivity of each module, we can calculate the Productivity of the line in three different cases. In the first case, the modules have buffers inbetween, so each module carries on its operation on simultaneously on different parts down the line stream. The Productivity P will be in this case the maximum value of the Productivities P of each module. This module is the bottleneck of the system. The Productivity of the complete line will be, in this case 10 seconds per part. The following video shows one line for venetian blinds in operation. All modern lines for the production of rolling shutters are also working in simultaneous processing. A third example of line with simultaneous processing is the coil punching and simultaneous laser cutting line. Here, the punching and laser operation are separated by a roller table that acts as a buffer and the punching and laser operation take place simultaneously. The productivity of the line will be, in this case, 33 seconds. The following video explains in detail the function of the punching and simultaneous laser cutting lines. In the second case, the modules are tightly connected and work without a buffer, i.e. in serial processing. The productivity P will be in this case the sum of the Productivities P of each module. Some lower productivity lines for venetian blinds have this kind of operation. P = P1 + P2 + P3 = 10s + 5s + 8s = 23 seconds – a 130% increase in the cycle time. Also coil fed punch laser combo are can be built with the two modules attached, working in serial configuration as you can see in the following video. P = P4 + P5 = 25s + 33s = 58 seconds – a 75% increase in the cycle time. It is clear that adding buffers can lead to a significant increase of the productivity, and of the availability of the system as well. In large plants, the buffers can be very large and if one of the modules has a function problem, they sometimes have the possibility to divert the production flow to a second backup module. In the third case, some modules are positioned in simultaneous processing and others in serial processing. In this case, the serial modules will be seen as a new module with Productivity P equal to the sum of the two productivities. The following modules with P7 = 7 seconds and P8 = 12 seconds positioned in serial processing configuration. In production lines, the availability of each module has a direct influence on the availability of the complete line. A conservative calculation for the line availability is the following. I consider that the same calculation is valid for serial or simultaneous configuration, since a malfunction in one of the modules, stops the complete line in both cases. These times depend on the machine design, of course, but also on the organization of the production, number of material changes per week or day (for example in case of frequent color changes) and on the technicians’ skills. I call these times as Setup Times or ST and they have to be either measured or estimated. Since efficiency is defined as expected productivity over an extended period of time, I suggest estimating the ST value in the production of a large enough batch of N parts – for example the quantity that is expected to be produced in one week. I use the availability value to take into account any stop caused by the modules. The production manager can use this Efficiency value – knowing it is an estimation – to calculate the line Gross Productivity GP and simplify his calculations. This means that, even if the machine produces one part every 12 seconds, we have to consider 14,9 seconds to take into account the setup times and the availability of the system. The calculations have been presented in a conservative way, but two additional factors should be considered. If the machine or system relies to an operator feeding or discharging the line, the productivity will have to consider the efficiency of the operator. We assumed the line producing 100% good parts: if the line is less efficient, the percentage of scrap will reduce the calculated efficiency of the line. The formulas I proposed, represent a simple methodology that can be applied to a number of sheet metal working systems: punching machines, laser cutting systems, FMS, roll forming machines and packaging systems. In the article I pointed out how the Efficiency depends also on the manufacturer’s organization. In fact, larger batches reduce the impact of Setup Times ST in the calculation. However, in today’s competitive markets, sheet metal manufacturers need to be able to react quickly to customers’ requests: this turns out in smaller batches, increased setup time and reduced efficiency. Even in this case, improving the efficiency is possible with a careful organization of the production and, of course, with the use of modern and flexible lines with lower setup times.